Welcome to Arsenal, Pierre-Emerick Aubameyang! The 28-year-old has joined us from Borussia Dortmund on a long-term contract for a club-record fee. Our third signing of the January transfer window, Auba is one of the world’s most highly-rated strikers. He scored 98 goals in 144 Bundesliga games for Dortmund and had a hand in 172 goals in 213 matches in all competitions for his former club. That works out at an average of 96 minutes per goal or assist. Auba is the Gabon captain and all-time top goalscorer, and became the first Gabonese winner of the African Footballer of the Year award in 2015. This deal is subject to the completion of regulatory processes and Auba’s squad number will be confirmed shortly. We hope to be hearing from the man himself very soon - watch this space for exclusive Aubameyang content! 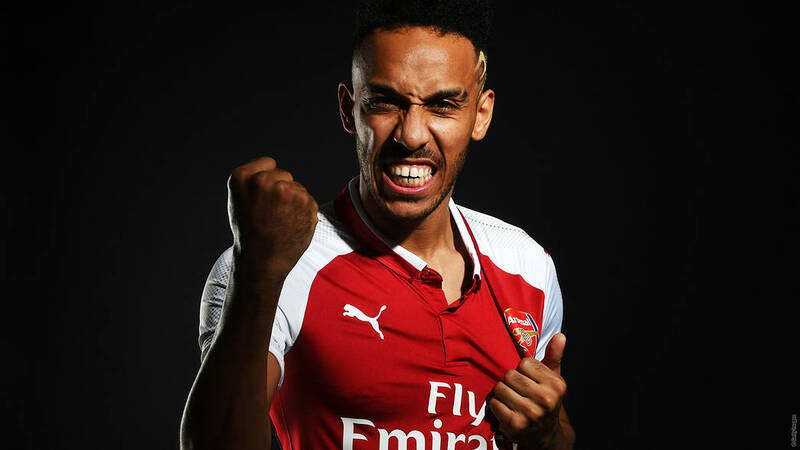 Resmi diberitakan di Arsenal.com, Aubameyang akan mengenakan nomor punggung 14, yang sebelumnya dipakai oleh Theo Walcott dan Thierry Henry.